Leeds, UK, 6th March 2015 – These days the chief finance officer or finance director is under sustained pressure to improve working capital and profitability while minimising bad debt expense. One way to achieve these goals quickly is by rationalising the order to cash process. The activities involved in taking customer orders and turning them into revenue can be categorised in four broad areas: sales order processing (which includes order fulfilment and distribution), invoicing, credit management and cash allocation. While critical to the smooth running of any business, all stages of the order to cash process are characterised by time consuming, manual tasks which rely on paper documents and can be prone to human error. This presents a significant opportunity for business process improvement. 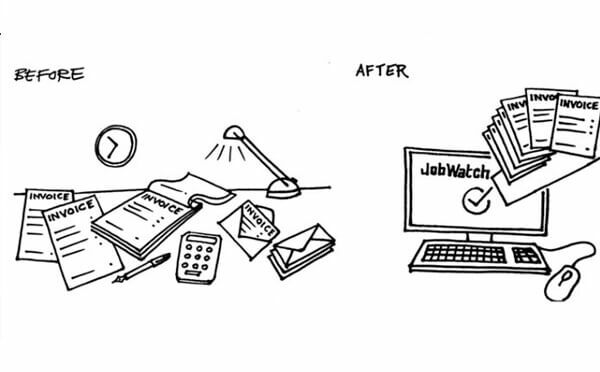 By moving from paper to JobWatch introducing greater automation, the finance director can increase speed and efficiency and generate important benefits both for the finance department and the company as a whole. Cash flow, days sales outstanding (DSO) and other key performance indicators are improved. There is also a significant reduction in costs. People and resources are freed up for other tasks, while delivering invoices and other financial documents electronically generates savings from lower print, paper and postage costs. The benefits also extend to customer retention and revenue protection. Customers are happier and therefore less likely to defect to the competition because they find the company easier to deal with: their orders are processed faster; they are no longer chased for invoices they have already paid and they can receive invoice documents and data electronically, with the additional benefit of being able to upload it directly into their finance systems to eliminate re-keying.